The school was founded in 1999 to cater to students from nations around the world. NWIS' goals are to spark and culture a child's sense of curiosity for learning, to promote understanding of one's own body, and to create opportunities for understanding their impact on the world around them. We are striving to create the kind of daycare environment that feels like home with the kind of educational program that will support your child's growth while waiting for Mommy or Daddy to pick them up. Emphasis is placed on social interaction with age appropriate activities and themes that are fun and stimulating. During their kindergarten years, children are at the Pre-logical Thinking Stage of their development and we aim to help them fully develop four important abilities: Observation, Assumption, Logical Thinking and their English. *The application period has ended for the school year 2018-2019. 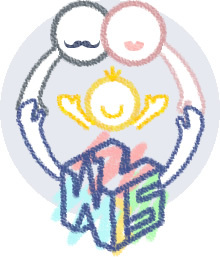 However, we will be accepting children from families who have moved to Tokyo or considering changing to NWIS mid-year. Available spots are only for kindergarten and preschool. Please contact us for more information. We provide a wide range of classes for children from baby to 12 years old including Mom and Tot, Ballet, and Musical Class. During those long school vacations we offer a number of one-week-long courses. We accept children from overseas to stay in Japan for short term, or children who come back to Japan for a long holiday, or children who go to a different international school in Japan, and are having a long break.